The Green Bay Packers 2018 season has come to a close. While the result was not as all had hoped, optimism springs eternal for 2019 as the Packers will have a new head coach and coaching staff, and lots of draft picks and salary cap room to reinvigorate the roster. And here at Event USA, we’ve got great plans in the works to bring you even better game packages and ticket choices, both at home and on the road. 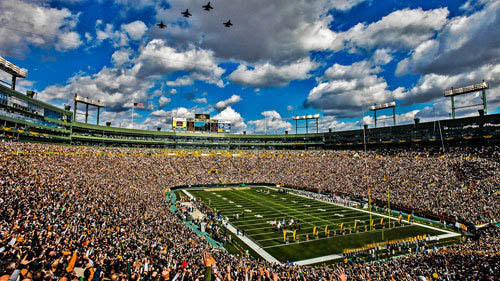 We are bullish on the Packers and are confident the playoffs are just around the corner in 2019 for the green and gold!